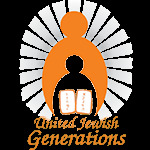 United Jewish Generations began offering Fine Arts and Culture for the Elderly (FACE) programs in 2006. FACE is designed to offer senior citizens enjoyment through music, art and comedy. This cultural series provides aesthetic awareness, as well as an enhanced appreciation of Jewish heritage and culture. Our extremely popular FACE programs are nostalgic and full of laughter. It is a great place to go out and meet new friends! Reservations are required for most events.